Family trips are always a fun experience: spending a day going to the zoo, or to visit family members can be a great way to have a fun time and bond with your family. Children especially can get a great thrill out of visiting new and exciting places! However, if your child tends to get motion sick during the car ride, it can put a damper on the day, not only for them, but for the rest of the family as well. 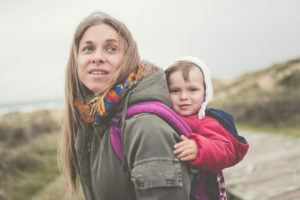 However, there are several things you can do to minimize or even prevent motion sickness; if your child is prone to it, it’s very likely that the following advice will help a lot. Why Do Children Get Motion Sickness? Motion sickness occurs when the body and brain disagree on the senses of motion, especially the eyes and ears. For example, a common trigger for motion sickness for people is trying to read while in a car. The problem arises when your eyes tell your brain that you are sitting still, but the rest of the body senses that you’re moving forward. This causes a disagreement, and triggers a sense of nausea, which is never pleasant. Some children are much more sensitive to motion sickness than others. If yours is one of them, you’ll be happy to know that you just might be able to prevent it. Here are some things you can do to help your child with their motion sickness. With a little luck, you just might be able to figure out what’s causing it. Be alert to signs of motion sickness — First of all, if you notice any signs that your child is getting motion sick, you should stop whatever is causing it right away. Common symptoms include sudden sweating, fatigue and queasiness; if you notice any of these symptoms, or if they tell you that they’re feeling sick, it’s not going to be long before vomiting starts! If you’re in a car, this is a good time to take a pitstop, even at the side of the road, if necessary. If you’re taking a flight, you can’t exactly pull the plane over, but getting them a cool, damp cloth to place on their forehead and telling them to look out the window can help. 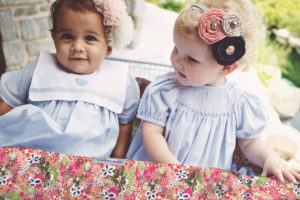 The right clothing can make a huge difference — Dress your child in clothing that is suitable for the weather is important. 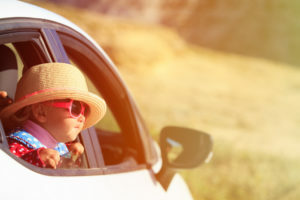 If you’re going to be driving all day, or taking an airplane, remember that the temperature inside of the car or plane is going to be a lot hotter than it is outside, so having hot clothing wouldn’t be very comfortable. Being hot and sweaty can be a trigger for travel sickness, so dressing lightly with the option of adding a jacket or warmer shirt for if it gets colder is the optimal solution. 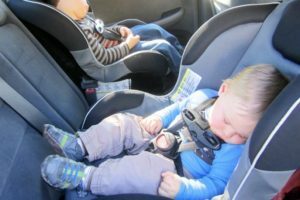 Use a forward-facing car seat — While some car seats, especially infant car seats, are designed to rear-face, this can unfortunately be a common trigger for travel sickness. Facing backwards and looking out of a car window confuses the body’s senses, sending the child into motion sickness. If at all possible, use a forward-facing car seat when you’re in a car. If travelling by train or any other means of transportation, let your child have a forward-facing seat. Schedule trips during nap time — If at all possible, scheduling trips during your child’s nap time is an easy way to avoid motion sickness. You can’t get motion sick if you’re not awake! Give them a light snack — While eating food might sound counter-productive when it comes to preventing motion sickness, the truth is that it can actually help a lot. Something like a few cookies, an apple, or crackers can help settle the sense of nausea associated with motion sickness. Open a window or turn on the A/C — A cool breeze or air conditioning can help some children with motion sickness, especially if it blows directly onto them. While this should probably be a last resort, it’s likely a sure-fire way to prevent motion sickness during trips. However, always make sure that the medication is child-friendly; your best bet would be to ask his or her pediatrician first to make sure that it’s safe to use, as well as to learn of possible side effects; there’s no point in replacing one problem with another! For example, many motion sickness medications can make the user drowsy and sleepy, which wouldn’t be a good thing if you’re planning on having an active day.